In loving memory of a dear husband and father. 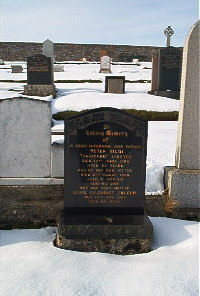 Peter Nicol of Craigard Lybster died 17th June 1960 aged 62. Son Peter Nicol died 6th March 1928 in infancy. Wife Annie Gilchrist Calder died 24th May 1985 aged 80.